The characters are hardly believable. The gangster duo played by real life South African Hip Hop Duo Ninja and Yo-landi are caricature, although that may just be who they are. There’s some rival gang who is evidently led by a reject from “Beyond the Thunderdome.” Dev Patel is mostly flat, Sigourney Weaver is in this because, you know, science fiction, and finally, Hugh Jackman is thrown in the mix. 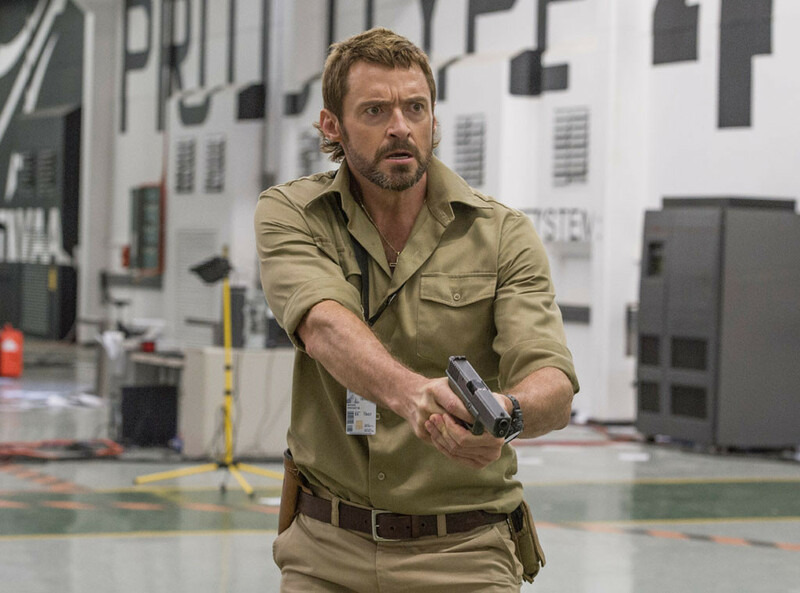 Hugh Jackman speaks out every thought, builds robots, wears a gun at all times, smokes a cigar, and has bulging muscles. Basically, he’s a cartoon. Seriously, the live action actors all look like cut scenes from a Sony Playstation game. 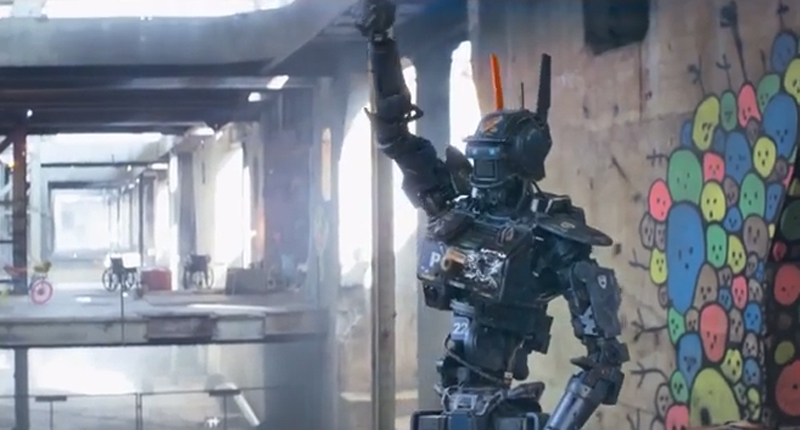 However, the real scene stealer is Chappie. He’s a robot built to fight, but has the mind of a child. He really is the heart of the film and completely redeems any missteps that may have happened along the way. He looks fantastic, but the real kicker is his dialogue, his mannerisms, and his role in the film. I mean, he’s a lovable robot who uses ninja stars and wears gold chains. Who could resist that? Ultimately, I’d call this Blomkamp’s best so far, and the sci-fi crowd is gonna eat it up. It’s a fun movie from beginning to end, explores some themes of the nature of humanity, and is the first time Blomkamp doesn’t completely slap you in the face with a thinly veiled metaphor. Unfortunately, Blomkamp’s love of Robocop, the 80’s, techno, and campy sci-fi will ultimately alienate the greater audience. 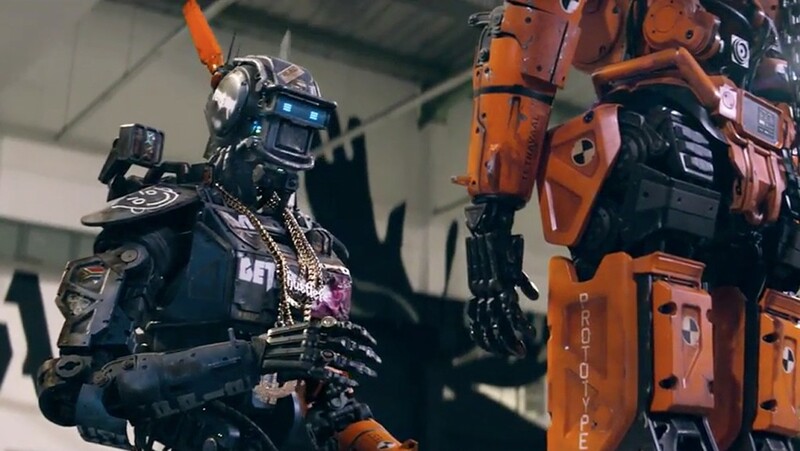 As a sci-fi fan though, I’d wear a Chappie T shirt. This entry was posted on Friday, March 6th, 2015 at 10:35 am	and is filed under Film, News. You can follow any responses to this entry through the RSS 2.0 feed. You can skip to the end and leave a response. Pinging is currently not allowed.